The DoNER Ministry will consistently try to bring an overall development in the Northeast, said officer on special duty in the Ministry of DoNER, Dr Inder Jit Sngh on Thursday. 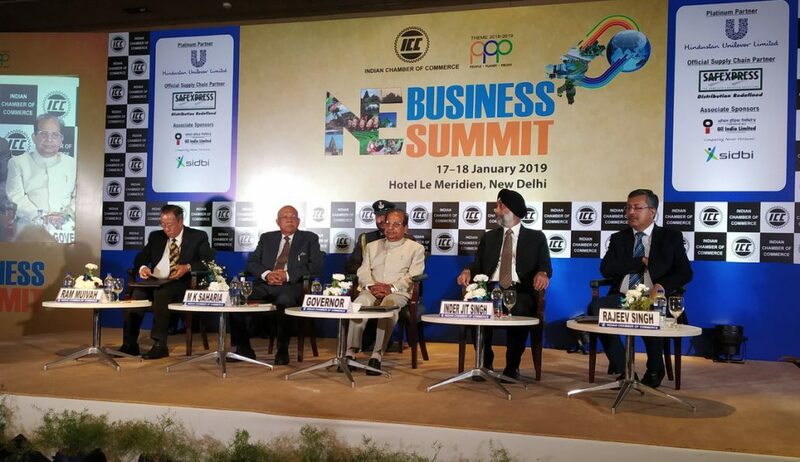 Dr Singh was addressing at a two-day long NE Business Summit organized by the Indian Chamber of Commerce in New Delhi. The two-day long NE Business Summit emphasised on the business development in the northeastern States. The programme also highlighted how Northeast could become the gateway for South Asian counties. “Our ministry is also there to bring an overall development of the region,” said Singh. Assam Governor Prof Jagdish Mukhi was present at the inaugural day function of the Business Summit. “Northeast has vast potential. The present Government at the Centre has been giving much more attention towards the development of the northeastern States,” said Mukhi. Mukhi also criticised the former Congress-led UPA Government for neglecting the northeastern States. “They (UPA) had treated Northeast as an insurgency area. But the present Government has totally changed the look…Every alternate day, we have central ministers visiting Northeast,” said Mukhi. NEC secretary Ram Muivah emphasized on the technology intervention for further development of the bamboo industry of the Northeast. The two-day long seminar that was started on Thursday will also witness the presence of foreign diplomats among others.